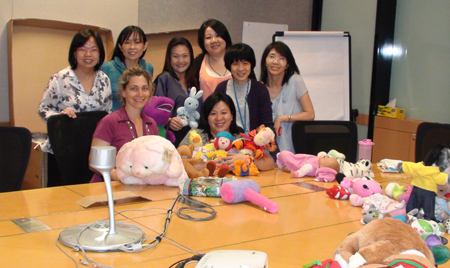 We would like to thank Tan Ee Lin, Kristin Lim, Peggy Khoo, and other Intel staff in Singapore who organized in February a soft toy and books collection drive amongst their colleagues. Thanks to their initiative and action, we were able to send 250kg worth of children’s books in English, board games, and soft toys for preschool and primary school children in Chiang Rai. Well done!!! We would also like to express our deep gratitude to DHL for sponsoring the shipment of these items.